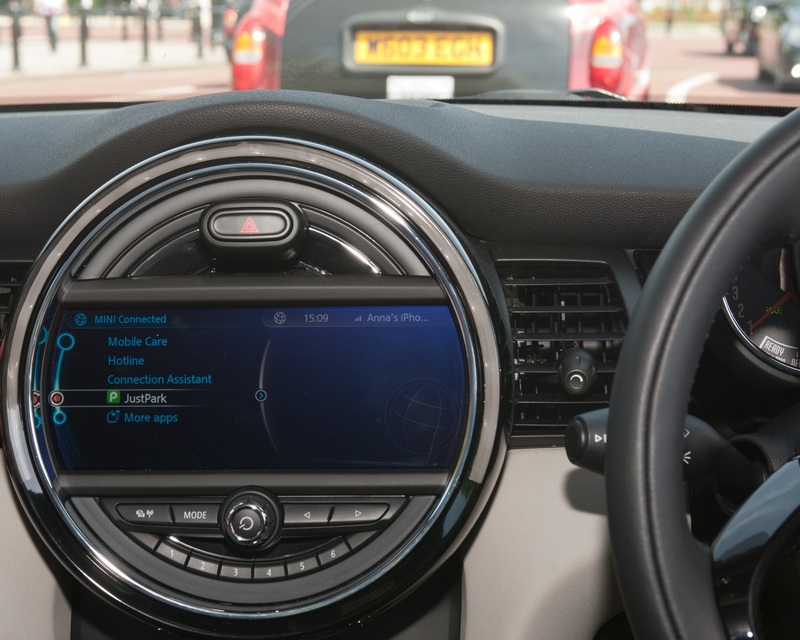 JustPark, a service for finding and booking parking spaces, has announced that BMW Mini drivers can now find, book, pay for and navigate to a parking space using its new in-car app. According to the company, the average driver wastes 106 days of their life searching for a parking space – that’s 2,544 hours, or enough time to fly from London to New York more than 300 times – and that circling for a spot is responsible for up to 30 percent of traffic on urban streets. The in-car app has been designed to ease this congestion by providing a one-stop shop for all your parking needs, from finding a space to pulling into it. Although only available in Minis right now, JustPark said that BMW plans to roll the app out across its entire range later in the year. Whether other car makers will follow suit and put JustPark in their cars remains to be seen, but the show of confidence from BMW isn’t perhaps too surprising given that BMW i Ventures – the VC arm of BMW – took a stake in JustPark back in 2011 when it was called ParkatmyHouse. Although JustPark’s spaces are predominantly based in the UK, the platform for renting out your own space is available to drivers worldwide. According to a spokesperson, it has users in 93 different countries and the iPhone and in-car app will be made available more widely in Europe and the US later this year.